Ryan looks like a taller Sheldon Cooper. What’s not to like about the baseball and Rock and Roll Halls of Fame? The Arch Baron cup is ours! Please thank your son for his service. Another double double for Has. Career high for French but now with 3 fouls. SUNY Binghamton had some pretty good teams several years back. Posted on the North Alabama Message Board: "St. Louis has a guy number 11 (can't remember his name). He is good. But they look good as a whole also". Hopefully they will know his name after Tuesday night. During last night's NY Yankees broadcast there was a lull in the game (this is baseball after all). David Cone filled in the time by talking about his high school - Rockhurst in Kansas City. He explained that the College's mascot is the Hawks and that the high school's is the Hawklets. 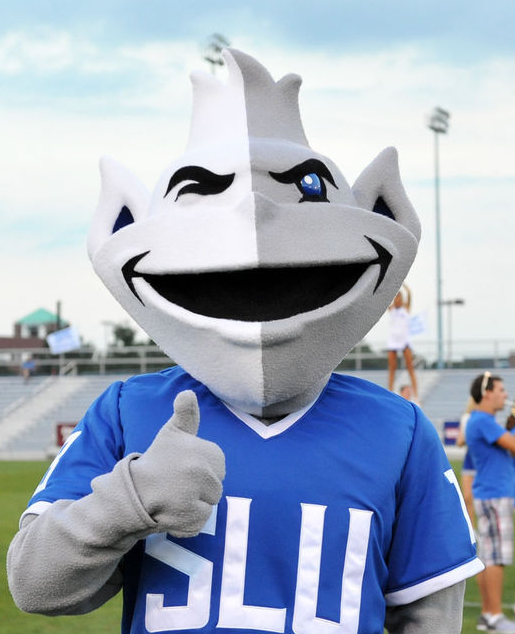 He then went on to say - "In St Louis, the university's mascot is the Billikens- don't ask me what that is- and the high school's is the Junior Billikens." The game then resumed with no further discussion of our Billikens. The Pittsburgh game at Barclays Center on Wed. Nov. 21st is scheduled at noon E.S.T.